Welcome to Sequoia Health and Fitness! Getting older while still feeling good and staying independent takes a little work. My evidence-based exercise and activity programs turn that work into FUN and can help you prevent falls and fractures, improve balance, enhance mobility and strengthen muscles and bones. All of my classes are designed to maintain and improve your physical and mental health and quality of life. Each individual training session and small group class uses the latest techniques to help improve osteoporosis, loss of balance, arthritis, stress, back, hip and pain, forgetfulness, sleep trouble, depression, heart problems and fatigue. Alleviating these health conditions can keep you independent and allow you to enjoy life more! Click Here to contact me or to try one of my exercise and activity sessions for FREE! Please call or email me today and let's talk about how I can help you feel better with the right kind of exercise program. Sign-Up Today for Your Complimentary Health Strategy Session! 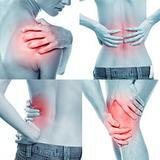 Better Backs!TM Alleviates Back Pain with The Meeks Method! Better Balance!TM Enhances Balance, Mobility and Posture! Posture Perfect!TM Better Bone Health, Posture and Balance! Tai Ji Quan: Moving for Better Balance Reduces Falls and Fractures!